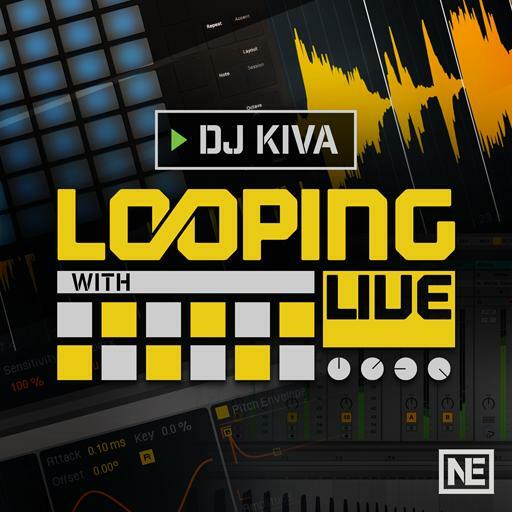 Live 9 410 - Looping With Live. Are the techniques learned in this video suitable for solo performance or performing with others? Can I use third-party VSTs in a live looping set? When Ableton was originally released, what was its main purpose? What is recommended global launch quantization? What is the advantage of having multiple midi tracks pre loaded with your favorite instruments? What is the name of the effect that can help reduce unwanted background sound on an incoming mic signal? How to I make sure a clip will start on the one when I hit a button on my controller? If I want to play the classic Roland 808 drum kit sounds in ableton, what kit do I load? What is the recommended audio buffer size? How can you quantize an audio clip? What are the main gear requirements for this course? If I need to hear metronome, but don’t want crowd to hear it, I should _______. What is the main reason to use the metronome? What happens to a loop if I hit the up arrow in Looper? How do you change the focus to a new MIDI track? I recorded one part I like in looper, then hit + to add a new layer, but I don’t like the sound. how do I remove the second sound? What does + allow you to do? If your hands are busy playing an instrument, what is recommended for live looping? What does Looper allow you to do?